A home inspection is a very powerful tool of leverage during a real estate transaction. The findings can send the buyer and seller back to the negotiating table, or reveal a defect so devastating that a potential buyer may decide to walk away altogether. To best prepare, many sellers in North Central West Virginia have a pre-listing inspection completed as a precautionary measure. 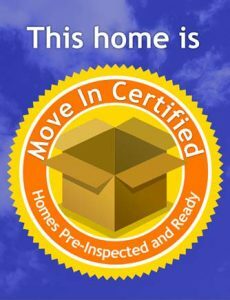 With a pre-sale inspection from Dale Shockey at Appalachian Home inspections, you will receive a free “Move-in Certified” yard sign to show all prospective buyers your home is inspected and ready for purchase. You can also choose to post the inspection for prospective buyers to go online and view. Do not ever hire a home property inspector who is not a member of the International Association of Certified Home Inspectors (InterNACHI). 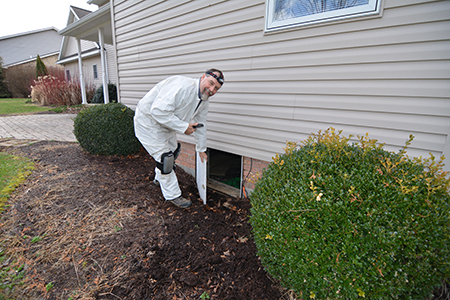 InterNACHI provides the most rigorous and trusted training for home inspectors in the entire industry. Call Dale Shockey, your local licensed and certified InterNACHI home inspector, at (304) 614-0636 to schedule a pre-listing inspection.